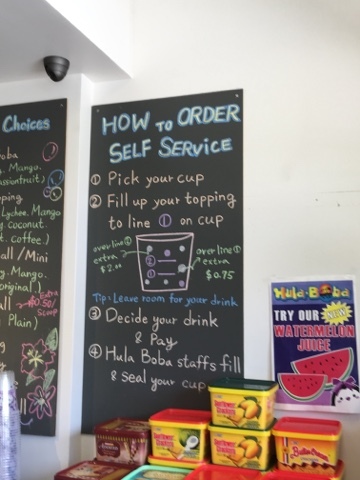 There are many bubble tea houses in Hawaii, but only one let's you serve your own toppings for your drink - that's at Hula Boba in Kapolei. On a recent excursion to the west side of the island (sans kids! ), the hubby and I stopped here to check it out. The ordering process is simple - pick your cup (2 sizes available), fill it with toppings of your choice, then hand your cup over to the cashier and tell them which drink you want, and they will make your drink for you. 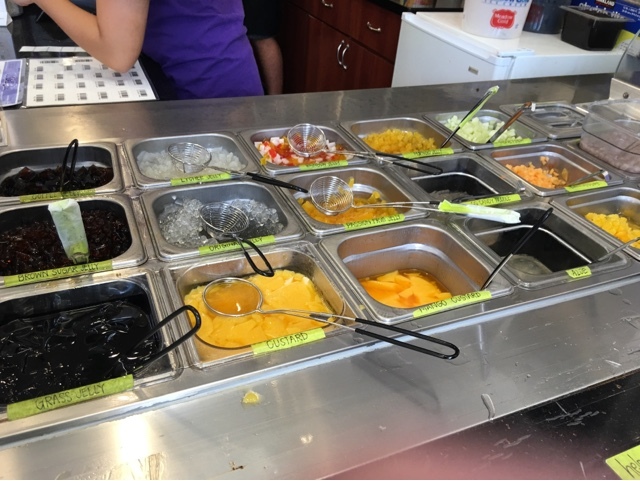 They have over 15 toppings to choose from, including popping bobas, jelly toppings, tapiocas, mochi balls, pudding, and more. 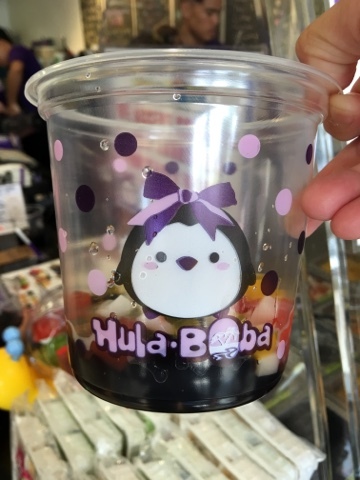 I filled my cup with regular sized tapioca and rainbow jelly. The hubby filled his with tapioca, mango jelly and custard. 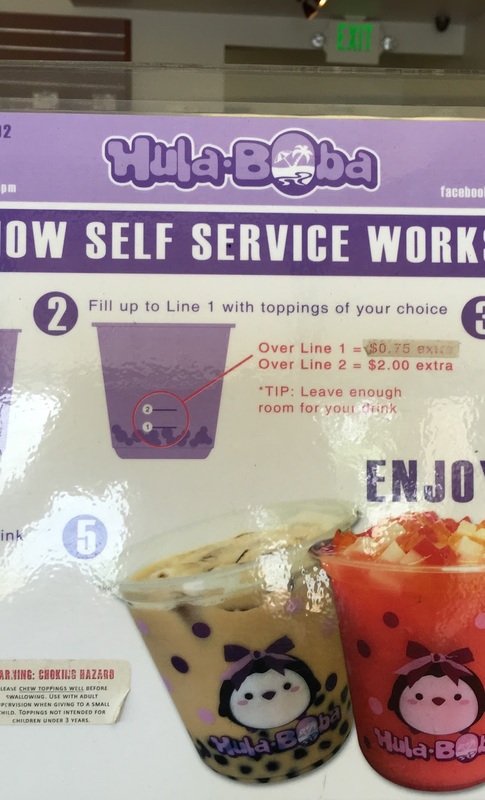 As with most other bubble tea houses, you can adjust the sweetness level of your beverage. The hubby and I both filled our cups to line 1, and ordered the lychee green iced tea at 25% sweetness. 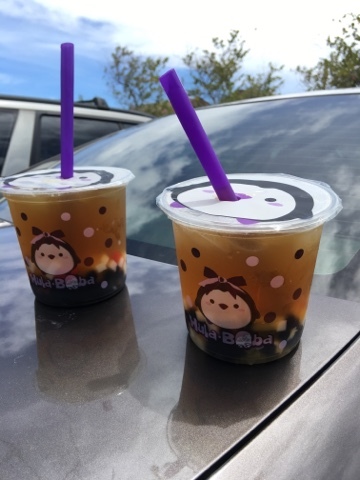 It was really refreshing and priced reasonably at $5 per drink. The only thing I dislike about this place is that they used wide cups which did not fit in the cup holders in our car. 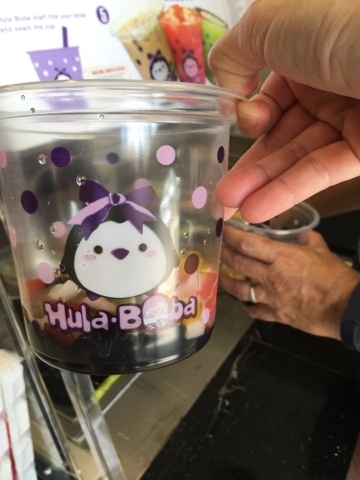 If teas are not your thing, they also have smoothies and shave ice on the menu, as well as a variety of packaged snacks. 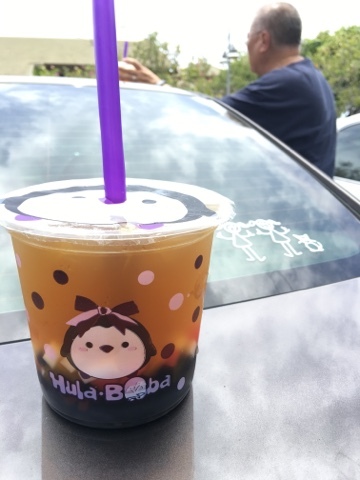 If we lived closer to Hula Boba, we would definitely be regulars here!